The workshop is part of New Communities and The Nordic Performing Arts Days 2014. The workshop is three days practical work and theory on the Theatre machine. The theatre machine is a general theory on collective work in performing arts. 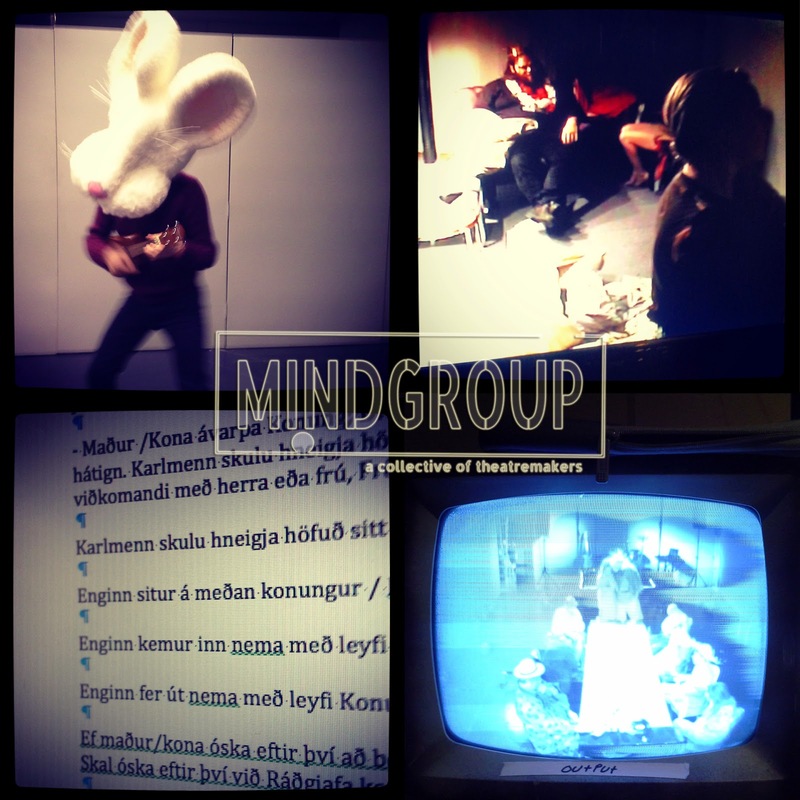 It is the result of our work in the open collective Mindgroup. The Workshop focuses on using the theatre machine practically as a means of dismantling and deactivating the accepted fantasy and projected fantasies on classic text and as a tool to explore the written and unwritten rules of any situation. All work within this site: written, images or video are protected by copyright and unless noted otherwise and cannot be reproduced without the express permission of the artists.